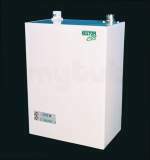 Why choose MyTub for keston high efficiency boilers? MyTub service is second to none in the UK, no other company aims to fulfill your requirements like MyTub does. We have fully trained and experienced staff ready to take your order, find the nearest branch with the goods ready on the shelf to deliver to your address and ensure you get your order delivered to you as quick as humanly possible. We keep you informed of the progress of your order, good or bad news. Our experienced team offer pre sales service to answer any questions you have relating to the products by liaising with the manufactures. All our keston high efficiency boilers products are genuine branded goods. If the item is in existence and on a UK shelf we will source it for you, in some cases when the part has even been obsolete for quite some years. Contract pricing and quantity discounts available on keston high efficiency boilers, our contracts department can also aid in specification if needed. Keston c36 combi wm boiler ng the keston c36 condensing combination boiler delivers a powerful yet simple solution for the modern home. quick and easy to install, the c36 combi is suitable for medium- ..
Keston c36p combi wm boiler lpg the keston c36 condensing combination boiler delivers a powerful yet simple solution for the modern home. quick and easy to install, the c36 combi is suitable for mediu .. Complete hassle-free home comfort from a single compact appliance. offering first-class comfort in a compact, wall-hung appliance small enough to fit inside a standard kitchen cupboard†, the keston ..
Keston duet 125 boiler / cyl package pre-plumbed, pre-wired and pre-assembled, the duet from keston really does take the headache out of finding the perfect boiler solution. when installation time f ..
Keston duet 125p boiler / cyl package pre-plumbed, pre-wired and pre-assembled, the duet from keston really does take the headache out of finding the perfect boiler solution. Keston duet 150 boiler / cyl package pre-plumbed, pre-wired and pre-assembled, the duet from keston really does take the headache out of finding the perfect boiler solution. Keston duet 150p boiler / cyl package pre-plumbed, pre-wired and pre-assembled, the duet from keston really does take the headache out of finding the perfect boiler solution. Keston duet 200 boiler / cyl package pre-plumbed, pre-wired and pre-assembled, the duet from keston really does take the headache out of finding the perfect boiler solution. Keston duet 200p boiler / cyl package pre-plumbed, pre-wired and pre-assembled, the duet from keston really does take the headache out of finding the perfect boiler solution. The heat range offers a number of key features that enables ease of installation, maintenance and operation. available in outputs of 45 and 55kw, the heat range is designed to ensure all installation ..
Keston q37 heat only cond bler lpg ex fl the q37h heating only boiler offers a compact, highly-efficient product, which delivers a massive 37kw of power – perfect for larger domestic properties. ..
Keston q37 heat only cond boiler ng ex f the q37h heating only boiler offers a compact, highly-efficient product, which delivers a massive 37kw of power – perfect for larger domestic properties. ..
Keston qudos 28h he ng condensing blr pre-plumbed, pre-wired and pre-assembled, the duet from keston really does take the headache out of finding the perfect boiler solution. Keston qudos 28hp he lpg condensing blr pre-plumbed, pre-wired and pre-assembled, the duet from keston really does take the headache out of finding the perfect boiler solution. Keston qudos 28s he ng condensing blr pre-plumbed, pre-wired and pre-assembled, the duet from keston really does take the headache out of finding the perfect boiler solution. Keston qudos 28sp he lpg condensing blr pre-plumbed, pre-wired and pre-assembled, the duet from keston really does take the headache out of finding the perfect boiler solution.